Control inputs have been fixed and reset, as players were having issues. Default inputs have also changed for the better, but you are still free to customize them in the settings menu. Improved difficulty progression for newer players. Some issues with AI pathing have been fixed on various levels. The menus only support mouse navigation right now. Gamepad support will be coming as soon as possible. Keep in mind that we only have one coder on this project! 21:9 resolutions are supported, but the menu is cut off at the top and bottom. This will be fixed in due time. Note: effectiveness of nitro depending on place seems mitigated for the same reason. Shouldn't nitro quality remain consistent since there's no feedback telling the player how and when his nitro is getting "adjusted"? Alternatively, the gauge could be scaled (instead of cut - quantity not affected) to let players know their nitro is affected based on place. It's telling you by speeding you up more; UI != GUI. Even so, does it need to be communicated? Does Burnout/Need for Speed show a rubber band icon when you're 6th? And even if it would, would it any way impact the gameplay or a player's decision making in the race? Less effective how? You mean 'cause they're in 1st place now with full boost? If I reach 1st while still having boost, it won't matter, 'cause it's far less effective in 1st place anyway. How people use the boost in 1st place is entirely up to the users. I constantly run out because I use it to get back up to speed after taking a corner. And even if they just save it all up until the boost is full, so what? It's not like that suddenly deletes the system that's in place that makes it so that boost is less strong for players further in front of the pack. I think it's a very elegant solution to a rather significant problem. 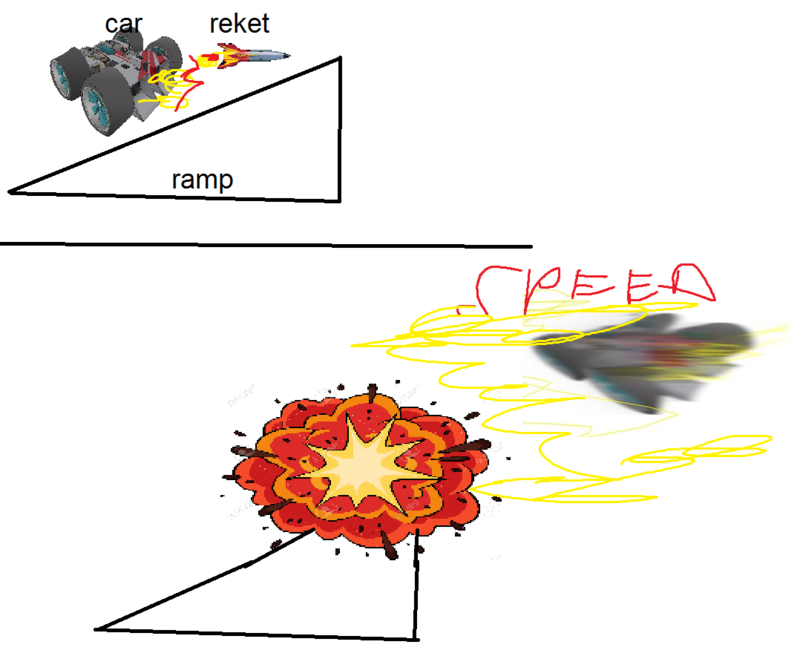 In Rollcage, catchup would just (very) dramatically speed up last place racers in all situations (not just straights), this definitely made things more difficult for newbies. This solution lessens the need for that, plus it gives veterans the increased acceleration they wanted without making them overpowered.